One word to describe this simple dip “Addictive” Please make sure you buy the best quality salsa and cheese you can find. Have a pleasant day! Beat the cream cheese until smooth. Add the sour cream and beat until well blended. Layer the mixture in a rectangular dish. 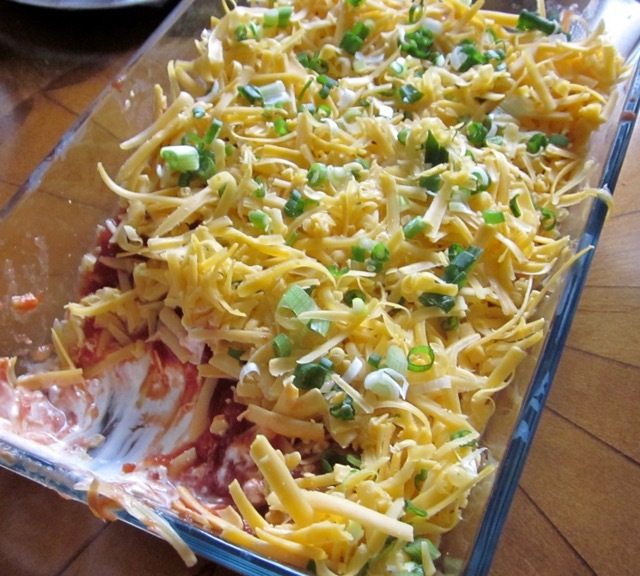 Top with a layer of salsa. Top with a layer of cheddar cheese. I’m not sure the sour cream in Europe or Africa will work for this recipe. Sour cream in North America is very thick. It’s like very thick yoghurt.